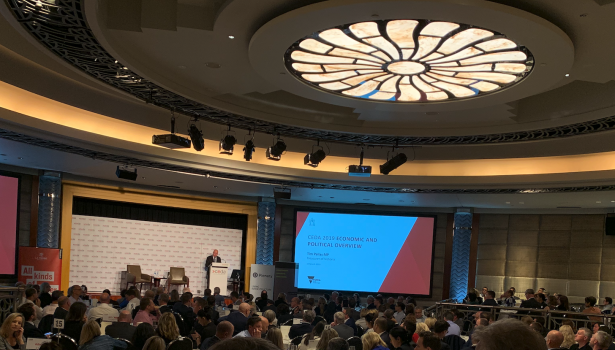 Representatives of the ConnellGriffin team in Melbourne attended the CEDA 2019 Economic and Political Overview on 15 March, 2019 at the Park Hyatt. Tim Pallas MP, Treasurer of Victoria, provided a brief on the economic outlook for the State, particularly focused on continued jobs growth and the record investment in major projects that is a significant driver. The gathering was also addressed by Michael Blythe, Chief Economist and Managing Director economic s with CBA. ConnellGriffin is grateful to CEDA for hosting and we look forward to attending future events. Should our any of our clients like to discuss the services ConnellGriffin offers or would generally like to find out more, please feel free to contact Jeremy Brasington.